Heavenly White Cake is a yummy and delicious recipe. 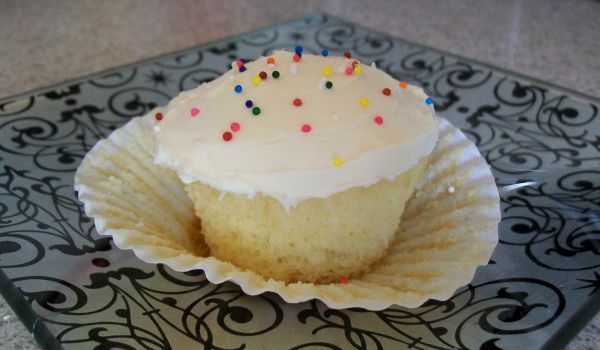 Learn how to make/prepare Heavenly White Cake by following this easy recipe. Sieve together the sifted flour, baking powder and salt three times. Beat egg whites until foamy in a bowl. Add ½ cup sugar and continue beating till the meringue holds up in soft peaks. Gradually add the remaining 1 cup of sugar and mix until light and fluffy. Add the sifted ingredients alternately with milk, and beat after each adding until smooth. Add in the flavorings, add meringue and beat thoroughly into batter. Spread the batter in a 15x10x1 inch pan with parchment paper lined below. Bake it for 35 minutes at 350F. Cool it for 10 min and then remove the pan and transfer the cake to a wire rack to finish cooling.